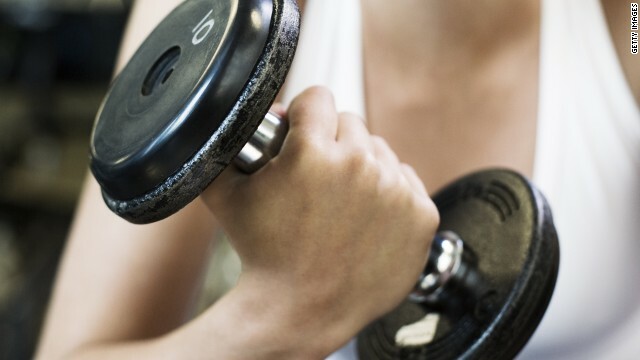 Bad advice and outdated research could be putting a kink in your workout efforts. Here are some fitness myths that have proved to be just that. Crunches do tone a small portion of your abs, but you may get better results from moves engaging your entire core. Sweating doesn't equate to calories burned. It might be the result of a hot room, the weather or your physiology. 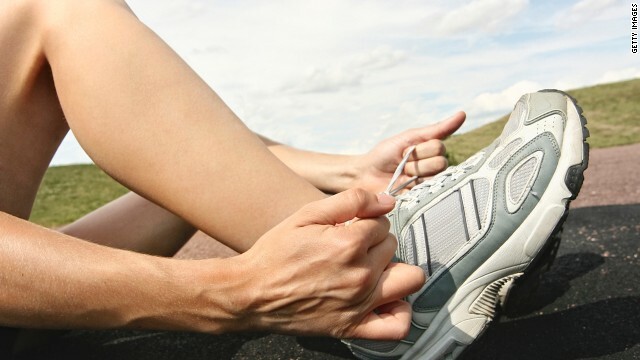 Running is safer on your joints than contact sports, but it's not totally harmless. A total-body workout at least twice a week along with regular jogs can build up muscles supporting the knees. Stretching after exercise won't completely reduce soreness or speed muscle tissue repair, but can increase joint flexibility. More and more studies are pointing to the power of short workouts rather than longer ones. Some research even suggests quickie sessions might be better. Scheduling rest days is crucial. Working out every day can lead to injury or overtraining, which keeps your muscles from rebounding and your body from improving. Research has shown that skipping sleep may lead to weight gain. Even partial sleep deprivation ups production of the hormone ghrelin, which triggers hunger. Yoga improves strength and flexibility, but it doesn't burn as many calories as aerobic exercise, researchers say. Women have less muscle tissue and produce lower levels of testosterone than men, so they're less likely to bulk up from lifting weights. Editor's note: Personal trainer Steve Steinberg is the owner of Black Belt Fitness Personal Training and author of "Fix Your Body, Fix Your Swing." (CNN) -- You've been trying forever to get that elusive six-pack: the holy grail of fitness goals. None of the gizmos and doodads advertised online or on TV have worked, so you figure it's time to sign up for that 30-minute abs class at the gym. Heck, what could be better for getting washboard abs than doing 9 million crunches, reverse crunches, twisting crunches, crunches with someone holding your feet, crunches with someone sitting on your chest, crunches with a cinderblock on your forehead, right? "Everyone already has a six-pack. It's just hidden under layers of body fat," said personal trainer Lecia Whitlock, an instructor at the National Personal Training Institute. "The key to getting a lean midsection is to reduce your overall percentage of body fat. And crunches just aren't a very effective way to do that." Losing body fat -- whether it's in your arms, legs, hips or abs -- is done by creating a daily caloric deficit so your body has to tap into stored energy, or body fat, to feed your muscles and keep you going. To do this, you'll want to launch a three-pronged attack. Building lean muscle through resistance training will force your body to burn more calories daily. Muscle is living tissue. The more of it you have and the more of it you use on regularly, the more calories your body requires to function properly. Adding multiple bouts of intense cardiovascular work -- 30-minute sessions three to four times per week -- is a quick way to burn big chunks of calories in a short time. Finally, you'll want to make sure that your diet isn't loaded with a lot of extra, empty calories. 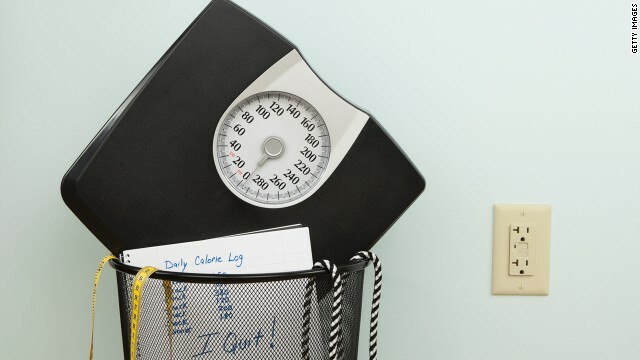 For the most part, the more calories that you take in, the more you'll have to burn to lose weight. "Most people underestimate how much they eat and overestimate how much they've exercised, and that's a lethal combination for someone trying to lose weight," said Whitlock. What's nice is that the work you'll be doing in the gym -- whether it's strength training or cardio -- can be just as much of a workout for your midsection as any "abs blaster" class at your gym. And choosing movements that engage the abs and other core muscles will actually help you in your quest for a trimmer waistline. Try doing your chest presses while lying on a stability ball instead of on a bench. Replace the leg presses you do using a machine with just about any type of lunge. "As your core becomes stronger, it allows you to build your other muscles more effectively," Whitlock explaned. "And by building those other muscles, you'll be increasing your metabolism, which is one of the keys to lowering your overall body fat." Conveniently, when it comes to cardio, the exercises that challenge your midsection are also the ones that have the highest rates of calorie burn. Think about a kickboxing or Latin dance class. Even choosing standing exercises like the elliptical or treadmill over seated exercises like the stationary bike will cause you to burn more calories per minute and force your midsection to work harder. 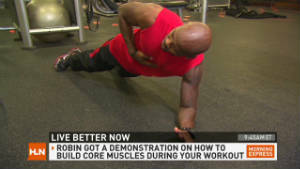 "When most people think about their core, they only think about their abs," said Whitlock. "In reality, the core is made up of all the muscles that control, move and stabilize the hips and lower torso." So by incorporating a variety of different movements into your workout, you'll also make sure you're strengthening your entire core. Weakness or muscular imbalances in the core can lead to everything from lower back pain to issues with your knees and posture. By ditching your abs class in favor of a full-body workout, you'll not only be heading in a straighter direction toward your six-pack, but you'll also be working to prevent potential injuries down the road.